Rachel Yaseen is nomadic. After living in Tucson, Arizona for 25 years, she gave away nearly everything except her bicycle and two small boxes of clothes, and she began to travel. Rachel still returns to Tucson 3 times a year, to spend time with her twelve-year-old son, but otherwise she’s a “citizen of the world,” without a home or permanent address. 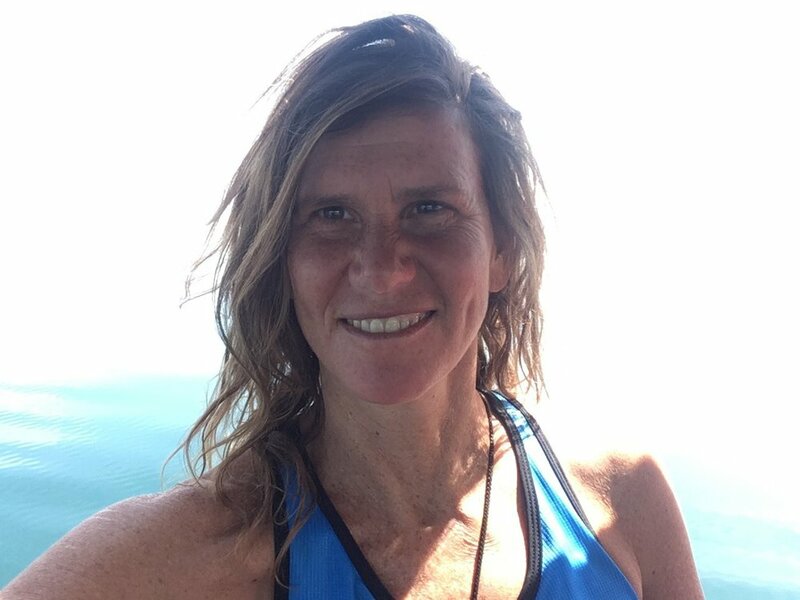 Rachel is a meditator, cyclist, trekker, chef, scuba diver and yogi. But she’s also a mom. And it’s her balancing act of self-realization and self-sacrificing that I’m most interested in, because it’s a struggle that I see reflected in mothers around the world: Can you pursue your wildest dreams if it takes you away from your children? And can your children benefit from your wildest dreams coming true? We explore these themes with Rachel in this exclusive interview. Rachel, where are you now? Currently, I am with my partner on a world bicycle tour that originated in Bangkok. I’ve ridden through Myanmar, southern Thailand, Malaysia, and now I am in Sumatra, Indonesia. Bicycle travel is such a good way to travel off the beaten path. I can get to so many remote and untapped areas on my bike: Pedaling through little villages, and on country paths and gravel roads and sometimes dense forest or jungle paths. How did you fall in love with international travel? I grew up in a household that was very rigid. There were right and wrong ways to do pretty much everything. While I am sure this was a well intentioned approach to parenting, it did not allow me to formulate my own ways of relating in the world. My junior year of college (age 20), I studied and traveled in Israel for six months. It was the first time in my life that I traveled in that way. I found myself in the middle of nowhere at the Dead Sea and in the Golan Heights, camping and trekking. It was like a light bulb went off in my head. This is life! Every weekend I explored somewhere new. I planned to travel after that, but I fell in love, and he didn’t share my nomad spirit. He loved to travel, but he liked shorter trips: around 2-4 weeks. He needed stability, to have a “real job,” and to be “responsible.” My heart was torn—I loved this man but I was a nomad at my core. I was married to him for over 20 years. Looking back, it was not my ex-husband that limited me: I simply did not have the imagination that I could be a solo nomad. I thought a woman needed a partner to travel and adventure with. What reignited your passion for travel? In 2015 I walked the Camino de Santiago. I remember at the end people were saying that the trip had changed their lives. I remember thinking, “it was a great trip, but I’m going back to my life; I cannot imagine much will change.” But then three days after I got back, I told my husband of 20 years that I wanted a divorce (probably the most spontaneous thing I have ever done—and I’m pretty spontaneous). Soon after, I gave away essentially all of my belongings. Tell us about your transition from domestic to nomadic. I knew I was leaving Tucson for good, but I didn’t know what my future would look like. I was leaving my son, my friends, and my community to pursue a life of adventure. I’d never really known other adventurers. In fact, it was not until I started listening to the Tough Girl Podcast that I realized that adventuring was even a thing that women did. I know it sounds crazy, but female adventurers were not on my radar. My instinct is nomadic. I can teach other people how to cook, grow their own food, simplify, and de-clutter. But it’s not the life for me. My happiest place to prepare food is over a campfire or on a park bench. So leaving domesticity wasn’t hard for me. It was more the shame of leaving my son. I love him with all my heart. And we are pretty close. But I did not like being a mom in a traditional sense. At one point I realized that to be the best mom I could be, I had to be true to myself. To show my son what that looked like. How did it feel to travel away from your son in Tucson? It was not pretty at first. It took me a while to learn to like myself, let alone love myself. But I think it’s clear to everyone who knows me that this is the life I have to live. And so what I offer my son is adventure and my love. He has the best of both worlds—a stable environment with his loving dad and step mom, and a world of adventure with me. But I still feel shame sometimes. 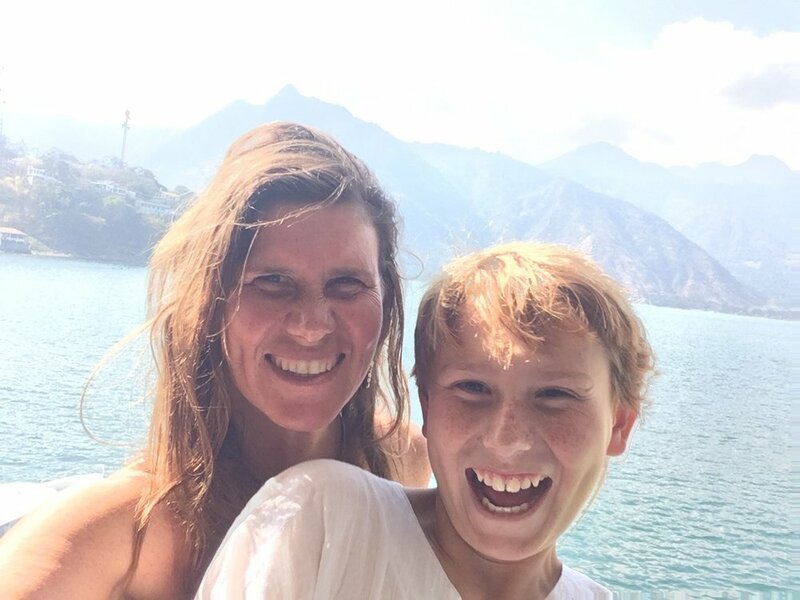 What’s it like to be a nomadic mom? My year is broken up into three parts because my twelve-year-old son lives with his father, and travels with me three times a year. We helped with reforestation projects in Haiti and Peru, we cycled in Denmark, and we learned Spanish (and hiked a volcano)in Guatemala. We went scuba-diving in the British Virgin Islands, walked the Camino de Santiago in Spain, and explored Berlin by bicycle. We also backpacked in Tucson and plan to go on a longer backpacking journey this summer. Tell us about traveling with your son. Sharing adventures with my son is fantastic. He is so incredibly funny and laid back. He’s an excellent hiker, a really good camper, and he makes a mean fire and likes to purify the water. I find it harder to spend time with him in Tucson in his environment, where I compete with the computer, television, crappy food and a consumer environment. I know he appreciates when I’m there, but it’s on our adventures that I feel our relationship really shines. What’s been the biggest challenge of your nomadic lifestyle? Probably the hardest challenge over the last several years as a nomad was to find a way to bring in money that aligned with my values and allowed me to live the lifestyle which felt true to me. Somehow this also connected with my purpose, why I am here in the world and how I can serve others. There’s been a lot of self doubt and fear about sharing my story. But as I focus on patience and faith, I feel like I am getting closer and closer. Currently I am doing this through my blogs and vlogs. I would like to start to give talks and engage with others. Support Rachel on her adventures! And as always, please contact me if you’re a cycling woman who’d like to be featured on this website!